A Big Data platform provides a range of features, including data import, storage, processing and analysis, as well as workflow creation, via various mechanisms. Interacting with each of these mechanisms using their default interfaces can be difficult and time-consuming due to the mechanisms’ non-uniform natures. Further tools may need to be installed in order to make this interaction easier and to make sense of the processing results. As a result, it takes longer to get from data import to data visualization, which further impacts the productivity and the overall value attributed to Big Data exploration and insight discovery (the value characteristic). A productivity portal provides a centralized graphical user interface (GUI) for performing key activities that are a part of working with Big Data, including importing and exporting data, manipulating data storage, running data processing jobs, creating and running workflows, querying data, viewing schemas and performing searches (Figure 1). 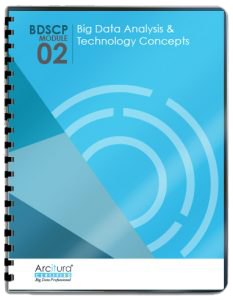 A productivity portal provides a unified interface for configuring and managing the underlying mechanisms of the Big Data solution environment, such as establishing settings for the security engine. Additionally, a productivity portal may encapsulate a visualization engine in order to provide more meaningful, graphical views of data. By using a point and click interface to work with the Big Data platform, the productivity portal makes it easier and quicker to populate the Big Data platform with the required data, manage and process that data and export the processed results. 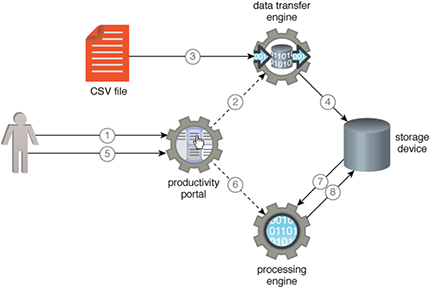 Figure 1 – A user invokes the productivity portal to import a csv file into a storage device. 2. The productivity portal in turn uses the data transfer engine… 3… to import the file… 4… into the storage device. 5. The user then submits a processing job via the productivity portal. 6. This action invokes the processing engine. 7. The processing engine gets the data from the storage device and processes it. 8. The engine then saves the results back to the storage device.